There is no room for error in industries where final product quality could mean the difference between life or death. Leaders in the medical device industry understand this level of criticality all too well and have created the MedAccred program to help ensure the highest quality medical devices. MedAccred, like the Nadcap program for the aerospace industry, is an industry-managed supply chain oversight program for critical manufacturing processes that focuses on reducing risk to patient safety by assuring quality products and verifying compliance with requirements. Six of the top eleven global medical device companies by annual revenue now subscribe to MedAccred (MedAccred Subscribers: Baxter, Boston Scientific, Johnson & Johnson, Medtronic, Philips, Stryker), with many other leading OEMs, Contract Manufacturers, and Suppliers actively participating in Technical Task Groups and sub-teams. MedAccred Accreditations reach around the globe. 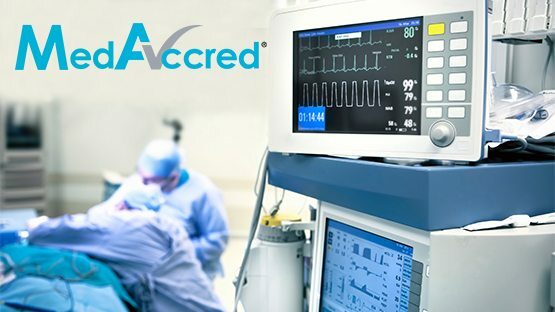 Suppliers in the United States, Mexico, Costa Rica, China, Malaysia, United Kingdom, France, Romania, and Austria have achieved MedAccred Accreditations. It is the vision of all companies actively involved in the MedAccred program to improve product quality and enhance patient safety. Experts from many of the leading medical device companies work together to develop specific critical manufacturing process audit criteria. The annual MedAccred critical process audits become part of their quality management oversight. Utilizing this approach, MedAccred enables companies to effectively address their purchasing controls through the tiers in their supply chain. The Medical Manufacturers MedAccred Accreditation Pathway, or MedMMAP, was created with a $1 Million award from the US Department of Commerce with the intent to help US manufacturers achieve MedAccred Accreditation. MedMMAP’s subject matter experts now have the funding to perform a MedAccred pre-audit review and will help work with the Suppliers to address any identified gaps. To participate in this government funded activity or to learn more about this program, visit www.MedMMAP.org. Through MedAccred, Suppliers are given the opportunity to improve product quality, reduce scrap and rework, and most importantly expand their business with many of the leading medical device companies. For more information about the MedAccred program or the MedMMAP funding opportunity, please contact Connie Conboy, Director of MedAccred, at cconboy@p-r-i.org or 724-772-7153 or Justin McCabe, MedAccred Co-lead, at jmccabe@p-r-i.org or 724-772-8693. To support the growing MedAccred program and to help prepare companies for the rigor of a MedAccred audit, eQuaLearn has developed a number of training courses taught by subject matter experts. To learn more about the eQuaLearn program please visit the eQuaLearn website or contact an eQuaLearn team member.